As its friendship day tomorrow, what could be the better thing than interviewing a friend? So here I am presenting one of the inspiring women to you whom I admire, and “humble” is the word that defines her for me. 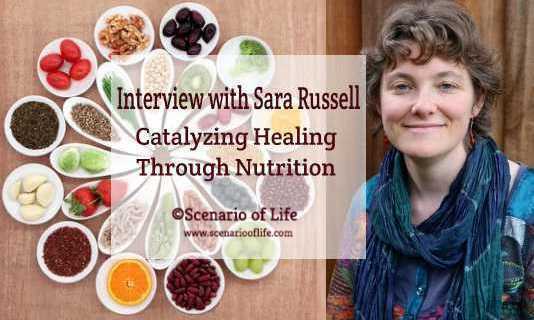 She is my blogger friend Sara Russell, Ph.D., who is a Nutritional Therapy Practitioner who resides in Italy and spends about a month each year in the US. She is a chronic illness warrior who frequently blogs about nutrition and health in addition to running a nutritional therapy practice where she specializes in supporting clients dealing with complex health cases. And today, as my first interviewee she is sharing her thoughts on nutrition and food and her relationship with them, how she balances her work and life, and a bit about her blog. If you had to describe all that you do in a title, what would you say? In just a few words, I would say that my work is about "catalyzing healing through nutrition"
When people discover that you are a nutritionist what questions you get to hear from them; the frequently asked one? Yes, I often have people ask me what the best way of eating is. Sometimes they ask me specific questions, such as "is it better to follow a gluten-free diet?" or "is the ketogenic diet a good idea?" Okay, and then what you usually answer them? I tell people that our nutritional needs are bio-individual and dynamic. The only hard and fast rule is to eat real food. Beyond that, we should strive to eat in a way that is supportive of our physical health needs and nourishing to our spirit and mind as well. What’s your philosophy on ‘Living Whole and Eating Well’? How would you describe that? For me, the phrase "living whole and eating well" suggests that we need to think of ourselves as whole beings, with each area of our health connected to all the other areas as a whole, and interconnected with our wholeness that goes beyond our physical existence but extends into our interpersonal, social, intellectual and spiritual dimensions. Eating well means nourishing our existence on all these levels. I also think that it's important to consider our connectedness with the earth that brings us food and with the needs of the planet as a whole. This is particularly important in this age where bio-diversity is being threatened by industrial and post-industrial profit-driven human activity. What is the best way to cook a vegetable and keep its nutritional value? It really depends on which vegetable it is and which nutritional properties I'm looking to preserve or enhance. Generally speaking, I'm a proponent of eating some vegetables raw, some cooked and some cultured/lactofermented. Some of us, especially those with thyroid conditions, will benefit more from cooked cruciferous vegetables (such as broccoli, cabbage, Brussels sprouts, etc.) than from the raw version because raw cruciferous vegetables have higher levels of thyroid-suppressing compounds. And when it comes to grains and legumes, it's important to note that most traditional cultures have typically soaked, sprouted or fermented them prior to cooking. These traditional food preparation techniques reduce the levels of anti-nutrients, thus making the food more easy to digest and helping us assimilate more nutrients. So I do think that we should listen to our elders when learning how to cook. What do you think about being a vegan and intense exercise? What tips would you like to share with others who want to pursue this route? It really depends on the person's current state of health and what their health objectives are. Vegan diets can be powerfully healing in certain situations, for example, some types of cancer. But we shouldn't overlook the long-term picture of the person's nutritional needs. Sometimes a vegan diet can be helpful in the short term for re-setting health. Many people don't thrive long-term on a strict vegan diet. In terms of intense exercise, an under-nourished and/or the ill body can't healthfully sustain that. Generally speaking, intense exercise is pursued with the aim of losing weight. However, it can be an additional stressor on the metabolic and endocrine balance of an already-strained body. And the exercise intensity that is right for each of us varies from time to time and from person to person. What are some common pitfalls to detoxification that people should know about? The most common pitfall is to stimulate detoxification on an under-nourished body. What a lot of people forget is that our detoxification pathways are driven by enzyme systems which are reliant on nutrients. The best things to do for good detoxification is to be calm and serene in everyday life, eat nourishing food mindfully and sleep well. But a lot of busy and frantic people push "detoxification" by taking expensive supplements that can be dangerous. Yes, when we really should be supporting good digestion, good nutrition, inner peace and happy relationships before moving on to anything else. Really, many people rely on supplements when it comes to detoxification which is not as helpful as doing it naturally, isn't it? That's right. That being said, there are many foods that help the organs and pathways of detoxification work well. For example, dandelion leaves and dandelion root help detoxification. Yes! Before spending money on expensive supplements, it's a good idea to look at what's growing in your garden and the nearby meadows. What are your thoughts on artificial sweeteners? Artificial sweeteners can have dangerous effects. Some of them aren't discovered until decades after the artificial sweetener has been on the market. Nature supplies us with healthy foods that taste sweet. These, in moderation, are always better than anything made in a lab. So having said that, you don't use and/or recommend it? I definitely don't ever use artificial sweeteners, and also recommend that my clients avoid them. Some of your specialty areas include "fertility, preconception, pregnancy, and postpartum." So what tips you can recommend to the couple who are expecting or planning a pregnancy? I recommend eating a nourishing diet with plenty of nutrients to support sperm and egg health pre-conception, and with plenty of nutrients to support the pregnant mother's health as well as the needs of the developing baby during pregnancy. Fat-soluble vitamins (A, D, E and K) and certain minerals, including zinc and magnesium, are really important. Also, folate, choline and other vitamins from the B vitamin family are crucial as well. Often with pregnancy, people think that it's enough to take a prenatal vitamin. But every meal is an opportunity to nourish fertility, pregnancy and fetal development. Alright, and is there any food/s that one should avoid? Or maybe consume less? As long as one avoids industrial imitations and adulterations of food, there isn't really a food that everyone should avoid entirely. Which foods to limit or avoid really depends on the person. If someone has a history for kidney stones, they should limit their intake of oxalic acid, for example. What’s one of the wackiest myths about nutrition you’ve ever heard of? There are so many! But I think the wackiest of all may be the myth that just eating sauerkraut juice (and nothing else) will cure any and all ailments in any man, woman, baby or child. Another wacky, and sadly widespread, myth about nutrition, is that what you eat doesn't make a difference to health. It's pretty strange and sometimes dangerous. I really wonder how could people do and think like that. The first one that you told scares me. Yes, me too, and especially when it gets applied to babies and small children who don't have any voice in the matter. It's sad when uninformed parents and unscrupulous health care providers damage the health of vulnerable babies and children in this way. Yes, it is and healthcare providers really don't have rights to do that. If they are in doubt then they should not suggest and/or recommend anything. I agree. It's always best to say, "I'm not sure. Let me research that" - or even "Let me refer you to someone who is an expert in the field." It's OK to be humble. Being a health care provider is about helping others heal, not about showing off one's own supposedly infinite knowledge. You also have a blog, so how your blog come into existence? So my first blog (which is still in existence) was entitled "Your Probiotic Kitchen" and came into existence in 2013 because of my passion for healing and supporting life through nourishing and properly prepared foods. 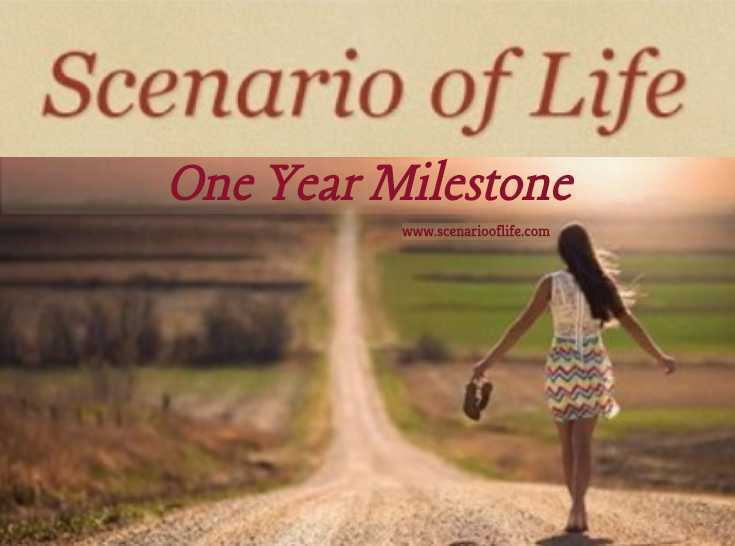 The second blog, "Build, Nurture, Restore," came into existence in 2016 after I moved to the Tuscan countryside and switched my practice from an in-person practice in Berkeley, California to a remote practice. It is inspired by the work I do to help build families, nurture healthy children and restore health to people with complex and chronic health conditions. You are running two blogs, interesting! Which one is close to your heart? So I actually stopped posting new material to the Your Probiotic Kitchen in 2016 when I launched the Build Nurture Restore blog but kept the original website live as a recipe and food preparation resource and as a blog archive. I find it very useful for people who are learning about the value of nutrition, so can't say it isn't close to my heart. At the same time, the Build Nurture Restore blog is more reflective of my most recent work and how I'm currently working with clients. And to be complete, I should say I'm also running another blog, "Feed Your Fertile Body," based on the pre-conception and pregnancy programs that I have developed for couples who are preparing for pregnancy and expecting a baby. This blog is separate because there are about 60 nutritional professionals who are using the program materials with their own clients. Wow! It's nice to know that you have 3 blogs all in all. When this third one came into existence? It came into existence in 2016 after I began offering the program materials to colleagues who wished to support couples before conception and during pregnancy. Aside from your own websites, which is/are your favorite blog/s? 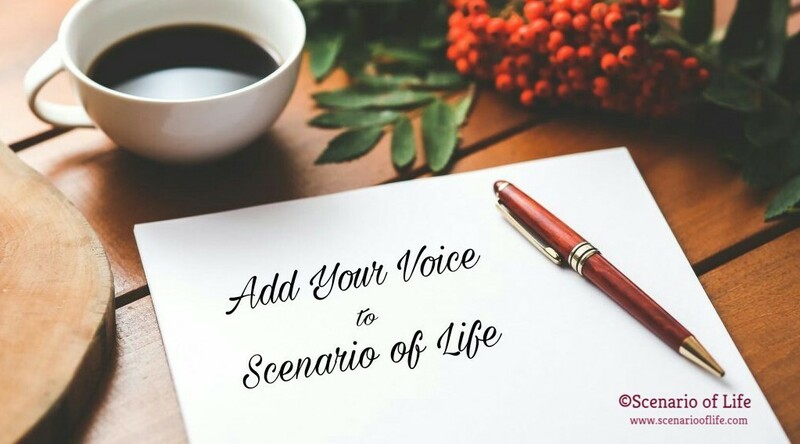 I enjoy reading your blog, "Scenario of Life," because of your writing style and the variety of topics. I also enjoy a number of other blogs that relate to nutrition and health. I like the "OhTwist" blog and the "ScienceOverACuppa" blog, but there are so many I read and admire that I can't list them all, and it would be unfair for me to try, because of any that would get left out. Okay, so my next question is - Your dad was a poet, right? Has he ever inspired you to write a poem too? Yes, my dad was a poet, and I used his manual typewriter many times to write my own poems as a child. As I grew older, I continued to write some poetry, usually by hand in my notebooks or even on the computer. In the past 20 years, I haven't written much of my own poetry. I actually prefer translating other people's poetry instead. As a mom how do you get the balance between your family and career life right? Your tips? The time-split between family time and work time has changed dynamically according to age. During the first year, I stayed home with my baby almost all the time. As he grew, I gradually started increasing my time spent outside of the home on professional endeavors, and now that he's almost 7 years old, I am able to work full-time, particularly during the school year. I am also very lucky to have the type of work that gives me flexibility with time and which can be done from almost anywhere. Even better, my work gives me a set of skills and knowledge that I apply to my family's health and well-being. I'm lucky because my husband is a teacher. We both have service jobs that give us skills that we can apply at home as well as professionally. In terms of tips for other parents, the first one is not to rush back into full-time work, and the second is to rethink your financial needs and re-budget so you can spend all the time you would like with your small child during the younger years. A lot of what many people think they need is really an extra. Your hubby or your son? : Son. Veg or nonveg? : Too hard to answer. Garden or Farmer’s market? : Garden. Salt and Vinegar or Sour cream and onion? : Salt and lemon. Ice-cream or Frozen Yogurt? : Ice cream! Android or iPhone? : Neither. I have a flip phone. What are your personal favorite research resources? What things do you do to keep up to date with your profession? I use PubMed and ResearchGate. I really enjoy reading scientific research and staying up to date. I attend the Nutritional Therapy Association's conference each year as well, which helps keep me connected not just with the latest in my field, but also with the people. And I do have a decent collection of books on functional nutrition. Anything new you’re working on that you’d like to share? I'm working on a post-partum program for maternal and infant health, and on a group research project on the molecular and cellular toxic effects of mercury. If a person walked up to ask for your advice and you only had a few minutes to give ‘your best tip’, what would it be (it can be related to anything)? Be kind to yourself and others and to the world around you. Eat real food. Take time to rest. Do what you love, and love what you do. Eat what you love, and love what you eat. The best way is to subscribe to the newsletter at Build, Nurture, Restore. I really enjoyed reading this interview! As a dietitian myself, it's always nice to read about others who are making such a difference (and moving to Tuscany, wow!). I love Sara's response to the typical "detox" question- very well said! So much information! Living healthy has always been one of my biggest concerns. Thanks for sharing! 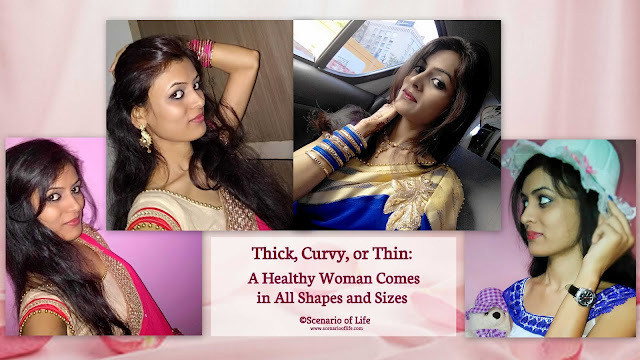 This is such a great post and I have learn't alot through her tips on nutrition. So informative! It is great to hear from someone who is an authority of the topic. That was very informative. Im gonna use some of her tips myself. wow, I love this concept of the interview. I learned a lot. Healthy living is definitely my main goal. Thanks for such a unique post. Interviewing friend on friendship day is well deserved tribute to this celebrated day. That is quite an informative interview. The concept of interviewing is also very enlightening. Congratulations on launching an interview series and bringing inspiring sharing. Love the advice shared by Sara. Simple yet not that easy! Good reinforcement! Congratulations on launching the interview series and I see some very informative questions and answers here. This is was an interesting read. I heard recently that is it important to have well-balance diet if you are trying to convince. 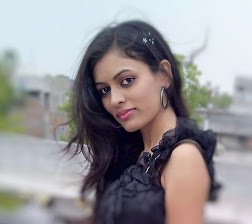 Hi, Preeti. This is a lovely interview. Both of you are inspiring women. I love how both of you participate actively in educating and empowering women. Keep it up! This is a great interview as it helps deep understanding on the importance of nutrition. Thank you for the effort and sharing this.I would consider every point of this interview to improve my diet. The interview was very good! I loved her responses; mostly when she talked about eating habits. Don't follow other peoples lifestyles, but instead, find a lifestyle that will work for you.